China Is Financing a Petrochemical Hub in Appalachia. Meet its Powerful Backers. Over the past year, oil and gas industry plans to build a petrochemical refining and storage hub along the Ohio River have steadily gained traction. Proponents hope this potential hub, which would straddle Pennsylvania, Ohio, West Virginia, and Kentucky, could someday rival the industrial corridor found along the Gulf Coast in Texas and Louisiana. 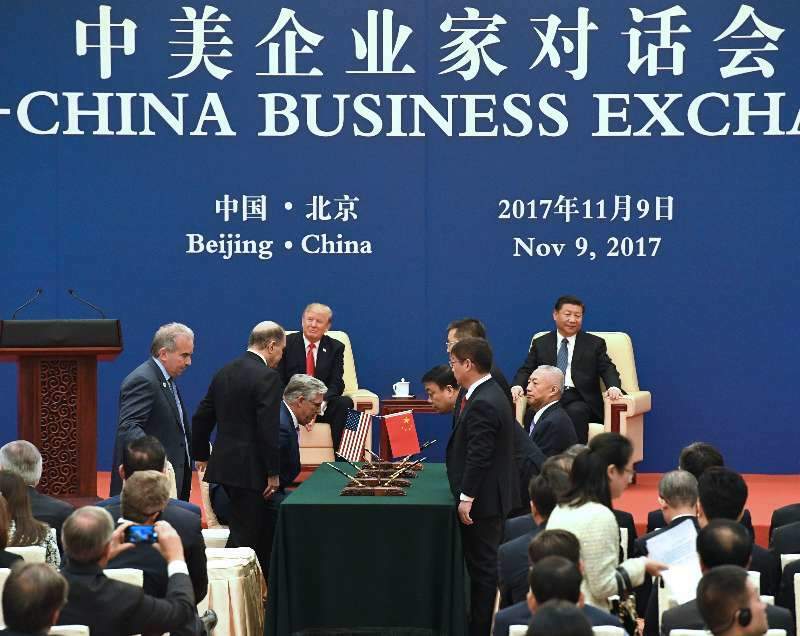 Those plans center around creating what is known as the Appalachian Storage Hub, which received a major boost on November 9 during a trade mission to China attended by President Donald Trump and U.S. Secretary of Commerce Wilbur Ross. At that trade mission, also attended by Chinese President Xi Jinping, the China Energy Investment Corp. announced the signing of a memorandum of understanding (MOU) to invest $83.7 billion into the planned storage hub over 20 years. For comparison, West Virginia’s gross domestic product (GDP) in 2016 was $72.9 billion. 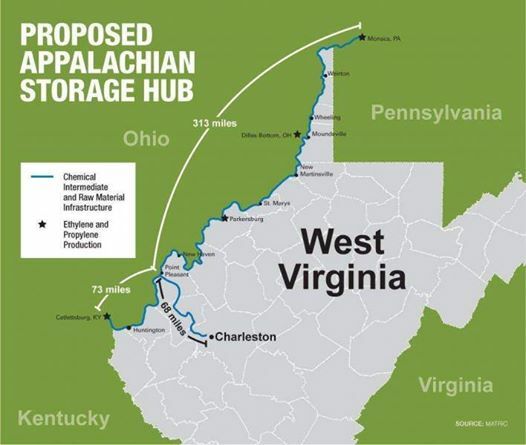 Though called the Appalachian Storage Hub as a broad-sweeping term, in practice the hub could encompass natural gas liquids storage, a market trading index center, a key pipeline feeding epicenter, and a petrochemical refinery row. Its prospective development has been spurred by the current construction of a $6 billion petrochemical refining facility in Pennsylvania owned by Shell Oil. The proposed hub has come under fire from grassroots groups. But this proposal also has a powerful set of backers, including West Virginia’s five-member congressional delegation, the state’s Governor and Secretary of Commerce, West Virginia University, the chemical industry’s trade association, Shell Oil, and the Trump administration, among others. Miles of river (Ohio and Kanawha) that will be impacted by the proposed Appalachian Storage Hub and it’s Petrochemical Intermediate and Raw Material Infrastructure. This will potentially impact 50 counties in the Tri-State are of WV, PA, and OH. The total square miles of the impacted area is yet to be determined. 386 miles total down the Ohio River from Beaver, PA, to Catlettsburg, KY, with 68 miles down the Kanawha River from Point Pleasant, WV, to Charleston. Detractors of the planned petrochemical hub believe that its construction would buoy the oil and gas industry in its efforts to further develop drilling and hydraulic fracturing (“fracking”) projects in Pennsylvania’s Marcellus Shale and Ohio’s Utica Shale basins. Great piece! Keep the news coming!! You sure wont see it on MSM! !